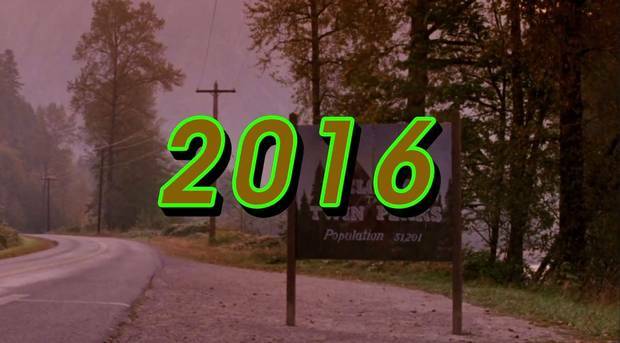 Twin Peaks Renewed for a Third Season! Yup, that’s Laura Palmer in the Black Lodge talking to Cooper in the series finale. Just saying. Oh my God, you guys….Is David Lynch a wizard? Suffice it to say that this news changes the game for TV. In a recent interview, Lynch postulated that television has surpassed cinema and become the new art house, citing shows like True Detective as evidence of the medium’s artistic prominence. Upon its initial airing, Twin Peaks was like nothing else on television, ahead of its time in innumerable ways; since, however, its impact has resonated profoundly and helped to establish a platform wherein anything goes. And with those possibilities at Lynch’s disposal, there’s no telling where he’ll take us, though it will no doubt be a place both wonderful and strange. I absolutely cannot wait! That ethereal score! Those quirky characters! That dream-logic mythology! Donuts! Oh…I forgot to tell you something. Leading up to the premiere, Showtime plans to air the original thirty episodes of the series to prepare fans for what’s in store. Now grab your oven mitts, pick up a bucket full of rocks, and let the speculation begin! 2016 can’t get here soon enough! Author Overstuffed DVRPosted on October 6, 2014 October 6, 2014 Categories NewsLeave a comment on Twin Peaks Renewed for a Third Season!